John Hughes and Bill Soumis manned the grill at a 50th jubilee family picnic for St. Thomas More Parish in Pottstown, Sept. 16. 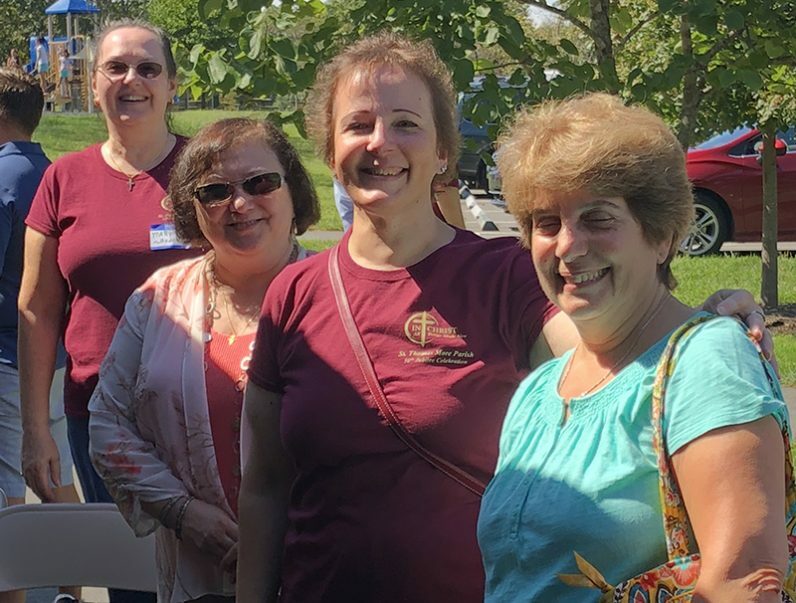 Mary Jo Warner, Maria Innocenti, Carol Phillips and Romana Coccia of St. Thomas More Parish in Pottstown enjoyed the sunshine at the parish’s family picnic, Sept. 16 at Warwick Park. 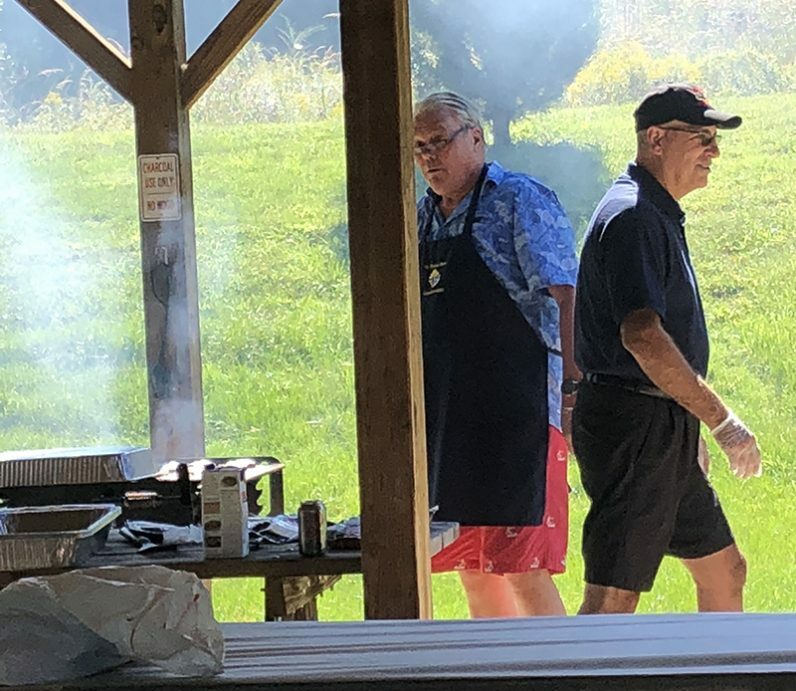 The parish is celebrating its 50th anniversary this year. 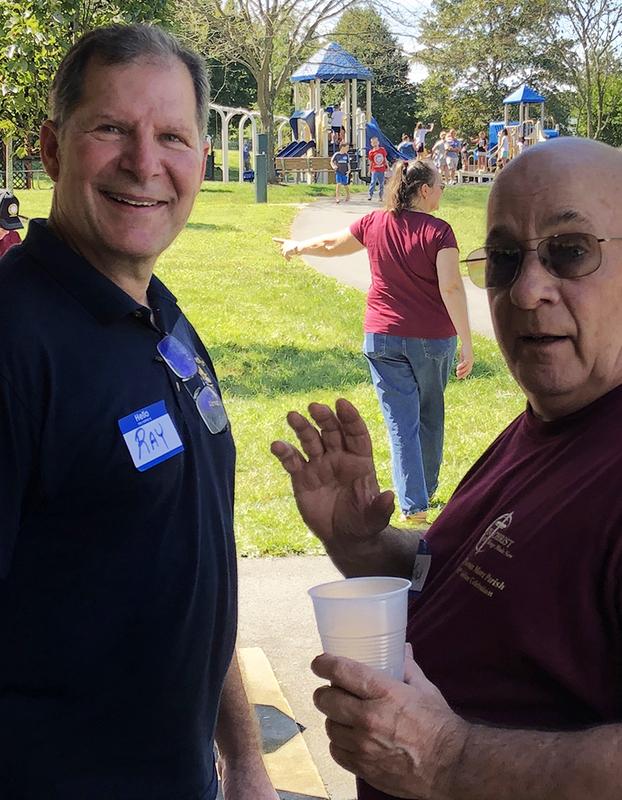 Ray Canton (left) and Jack Werkley at a Sept. 16 family picnic held by St. Thomas More Parish in Pottstown. 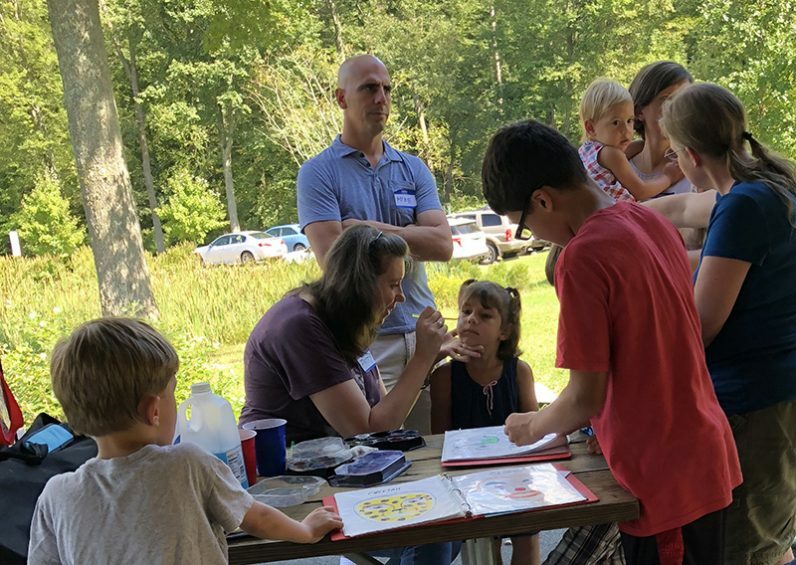 Face painter Patty Janda added an artistic flourish to St. Thomas More Parish’s annual family picnic, held Sept. 16 at Warwick Park in Pottstown. 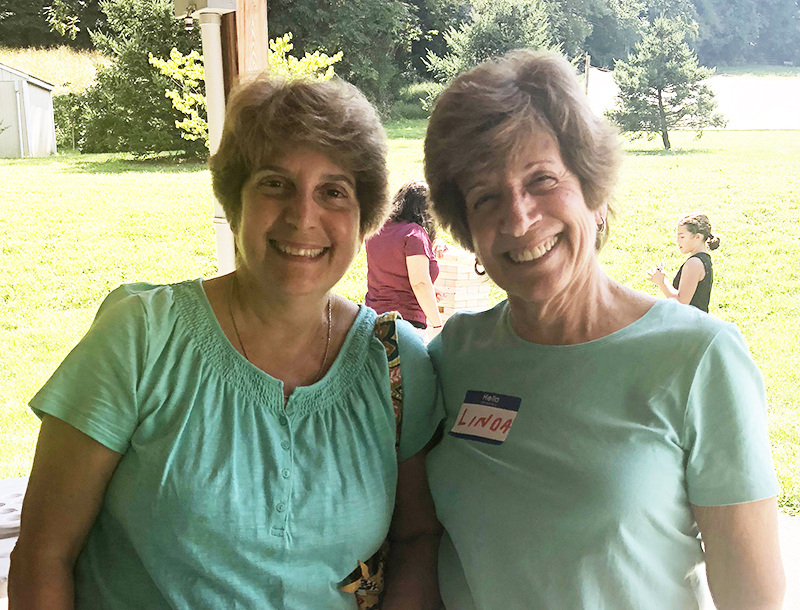 Romana Coccia (left) and Linda Slatcher were all smiles at St. Thomas More Parish’s annual family picnic, held Sept. 16 in Warwick Park, Pottstown.